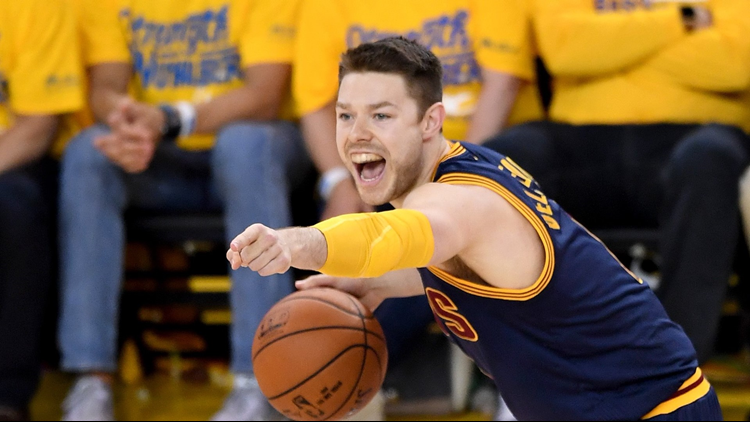 Matthew Dellavedova is happy to be back in Cleveland and he let Cavs fans know this morning. Delly sent out this tweet Saturday morning after the trade became official last night. The 28-year-old Dellavedova began his NBA career with the Cavaliers in 2013-14 and spent three seasons in Cleveland before departing to the Bucks in a sign-and-trade deal following the 2016 championship season. Dellavedova played 12 games this season with Milwaukee and owns career averages of 5.8 points and 3.7 assists in 21.4 minutes over 341 games (88 starts) with the Cavaliers and Bucks. The 5-20 Cavs are back in action tonight when they host the Wizards at the Q at 7:30 p.m.